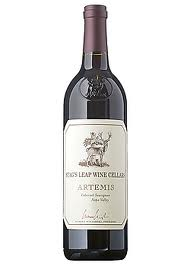 Stag's Leap Wine Cellars Artemis Cabernet Sauvignon. ARTEMIS, named after the Greek goddess of the hunt, is a wine that truly reflects its name. 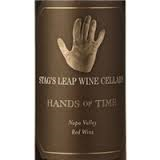 It's the culmination of our hunt for the finest grapes from Napa Valley which, when combined with estate-grown fruit, combine to create a Cabernet Sauvignon that expresses the regional character of Napa Valley with the signature style of Stag's Leap Wine Cellars. This approach results in a wine of lush fruit flavors balanced by extraordinary structure and elegance. Whereas our Estate Cabernet Sauvignons showcase the distinctive characteristics of each vineyard, ARTEMIS demonstrates how astute grape selection and skillful blending can create a wine that represents the sum of Napa Valley's best Cabernet Sauvignon parts.